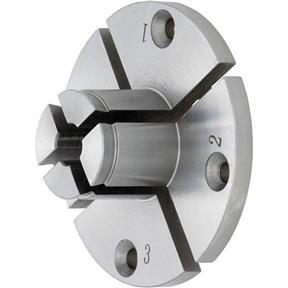 Pin Jaws are designed for mounting bowls by expanding into a recess inside the bottom of the workpiece. A dovetailed lip grips the workpiece securely for safe and confident turning. Fits a 1" diameter recess.